Crown Palace just opened about a month ago. 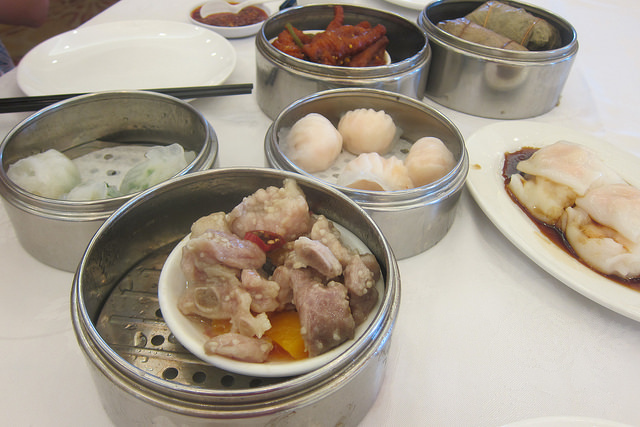 Although we are not lacking in dim sum in the San Gabriel Valley, I always like the options. I grabbed my noodles and occasional omakase partner and we went to town on dim sum. 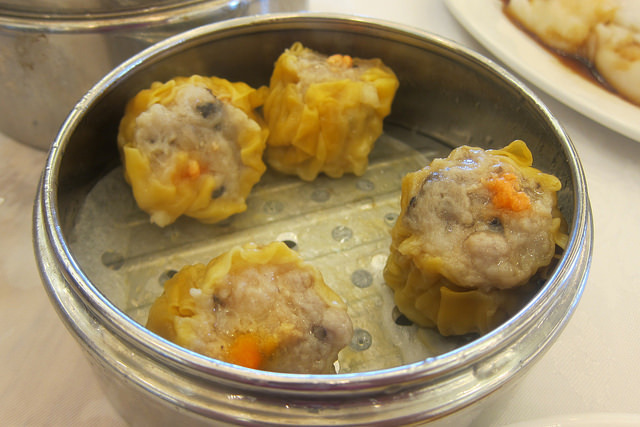 First we ordered all the standards like har gow and siu mai. I also tested out the chicken feet and sticky rice. The chicken feet were pretty good while we were confused by the huge amount of rice for the sticky rice. It could have had a bit more fillings. 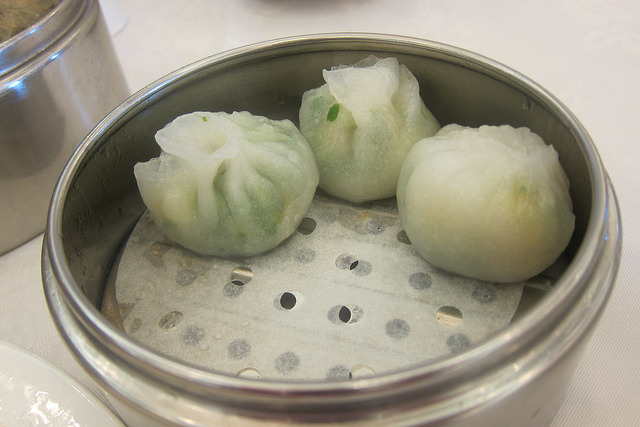 The pork dumplings were surprisingly small but only small compared to how massive dumplings have gotten. These are actually the correct size and what I remember from my childhood. 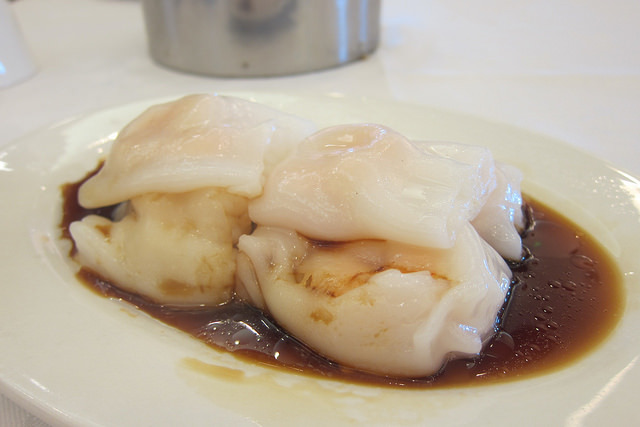 Both the siu mai and the har gow (crystal shrimp) were fine. My next test is the shrimp cheung fun. The noodle rolls were also pretty good though feeling like a slightly smaller portion. One of the cart ladies insisted we get the shrimp and leeks dumplings. Normally I would take all the dumplings but these were not good. The wrappers were gummy and we left two behind. Two of the three, that’s really not good. The daikon/taro cake was also average. But I did appreciate the care put into grilling them for the crispy edges. 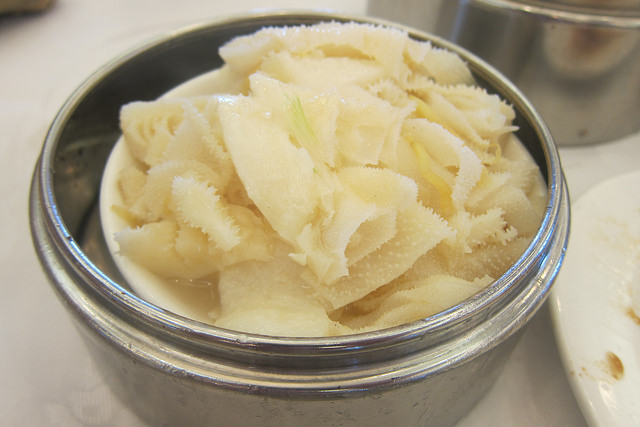 What made us really happy was the tripe. We asked for this and eventually one of the cart ladies brought it out to us. I really wanted my egg tarts for dessert but had to settle for tofu pudding. The ginger syrup concoction was fine. I silently shook my fist at the puzzling lack of egg tarts. We did see them once but we weren’t ready for them. The lesson is to order them anyway. I just hadn’t wanted them to get cold. Compared to nearby Monterey Palace, I would have to say it’s fairly average. 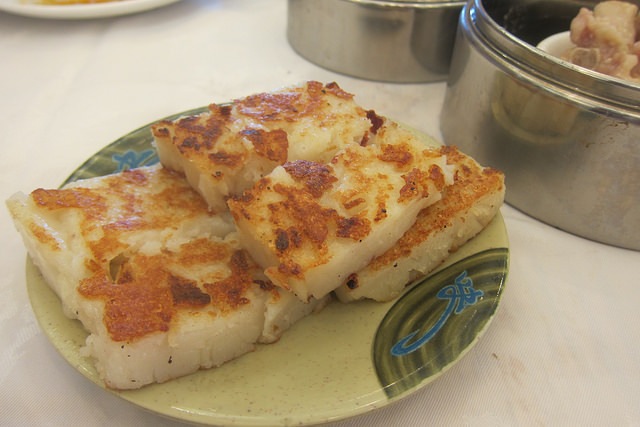 On the other hand, I like that it was a solid choice and I would go back over some of the trendier spots like Shi Hai. Also Crown Palace is cheap as hell, reflecting the smaller portions. My current favorites are still Lunasia and Shanghai No. 1 Seafood. I’ll have to give the new Lunasia in Pasadena a spin soon.